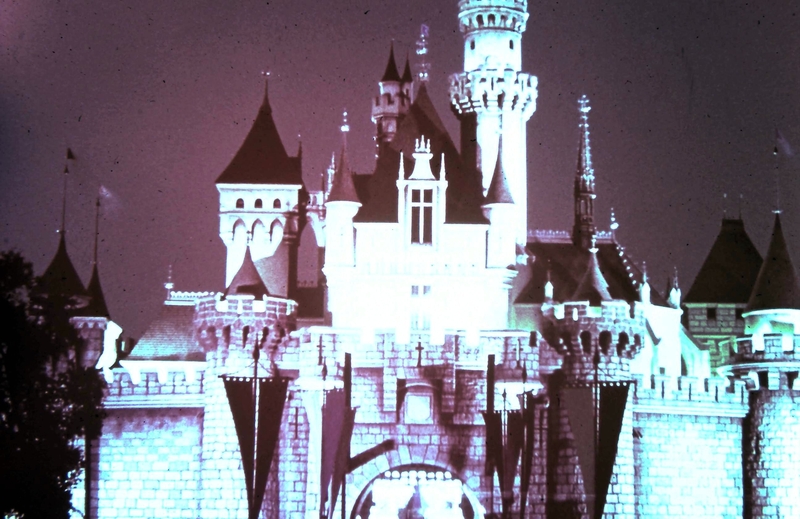 I ran across an old Disneyland souvenir slide collection in my dad’s garage in California. Not quite sure what year these slides were produced for sale at the Park. The monorail system says “Alweg” on it, which was removed in 1976, so these are pre-1976. 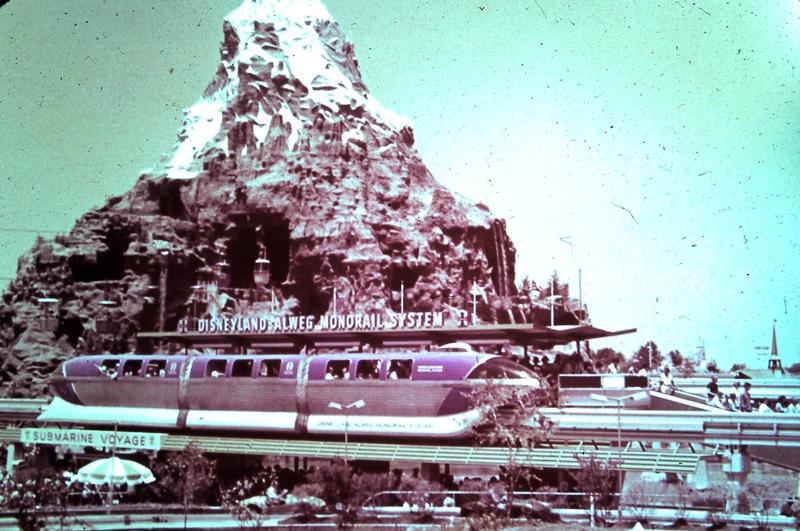 The Submarine Voyage and the Matterhorn were added in 1959, and the Skyway cars are still the old, round version. 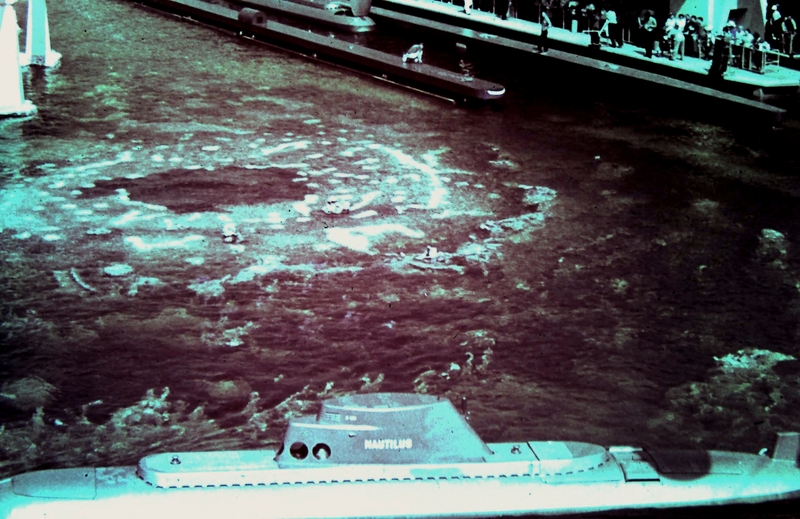 I am guessing based on the condition of the slides and the clean-cut people depicted in them, these are from the early 1960’s. Anyway, they are a little faded out, but they are super cool and definitely fit right into the groove here at Lost Transmission. I will offer these in small doses so as to no overwhelm anyone with coollness. 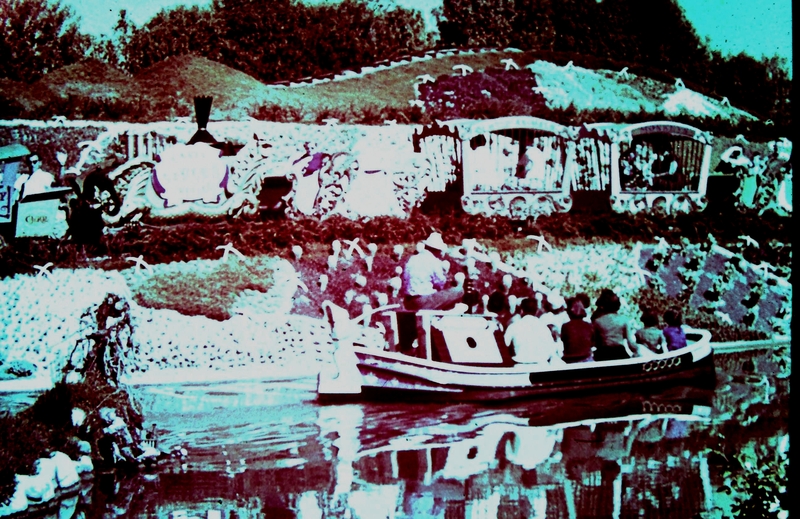 The classic Sleeping Beauty’s Castle before it was chopped down to size. 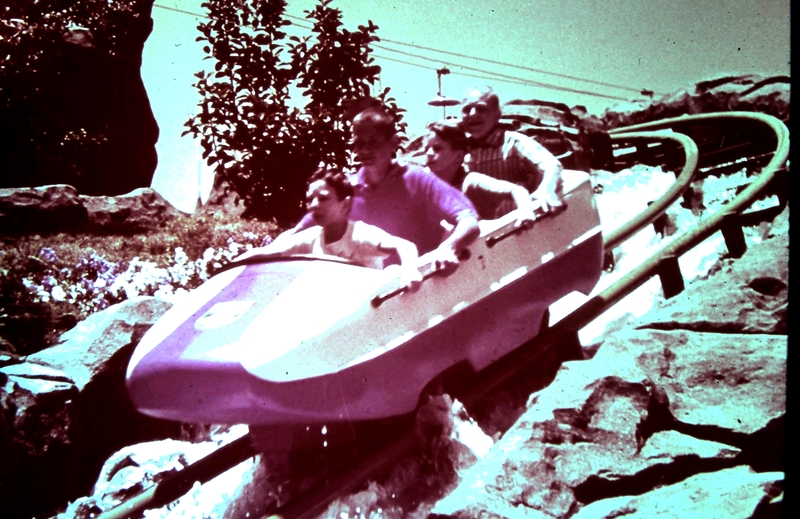 The Matterhorn Bobsleds! Permanecer sentados por favor.